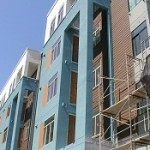 HEART raises funds from public and private sources to fund the construction of affordable rental homes near transit. 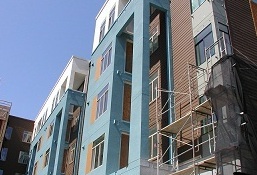 Thanks to a generous corporate donor who gave a $1 million grant to strengthen HEART as a community housing fund, HEART was able to make an early, long-term loan to MidPen Housing for 636 El Camino, 109 affordable homes for working families in South San Francisco. “This funding from HEART allowed MidPen to engage in predevelopment work in the very early stages of the project, which was critical to the project’s ultimate success” explains Abby Goldware, MidPen’s Project Manager. MidPen Housing received over 2,300 applications for the 109 homes, demonstrating that the need for funding affordable homes is as great as ever. The City of South San Francisco envisioned improving an under-utilized 2-acre mobile home park into a pedestrian friendly, affordable mixed-use development on El Camino Real. As part of the larger Grand Boulevard Initiative, this development is located on adjacent to South San Francisco High School and near Centennial Way, a paved pedestrian and bicycle linear path that connects South San Francisco and San Bruno BART stations. In addition to 5,700 square feet of retail on the ground floor, the complex also features a community garden, playground, fitness center, and computer lab. HEART is proud to invest $1 million in the project, and congratulates MidPen Housing and the City of South San Francisco for this successful public/private partnership. ← HEART raises over $100,000 at May lunch, with 370 guests.